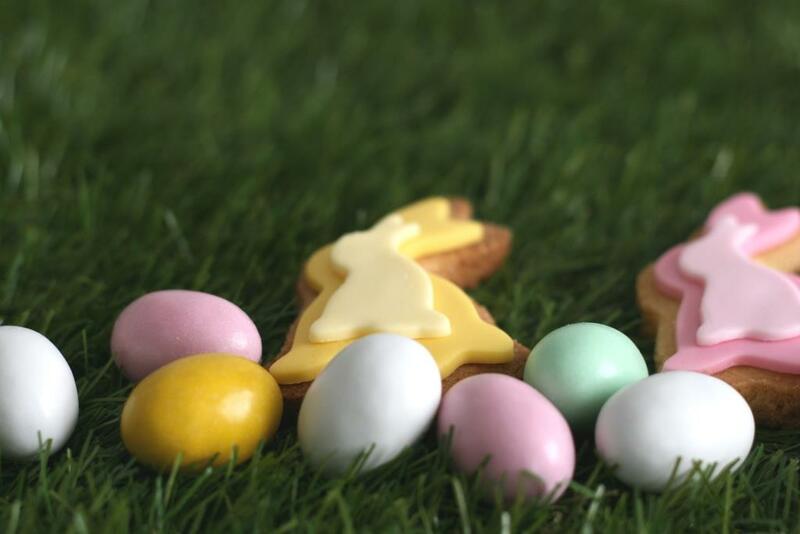 Using a very cool set of cookie cutters in different sizes, we cut out cookies in a bunny shape (we used our ‘tried and tested’ vanilla butter biscuit recipe). Ready to Roll Fondant was used as icing, and we rolled and cut out pink, green and yellow shaped bunnies. The top layer of icing was made lighter using pink/green/yellow fondant and adding white fondant. 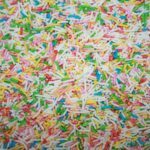 As a tradition, every year we ‘paint’ chocolate Easter Eggs with food colouring, and generally have a bit of fun reminiscing about decorating eggs as well as our excellent finger painting skills when we were young! 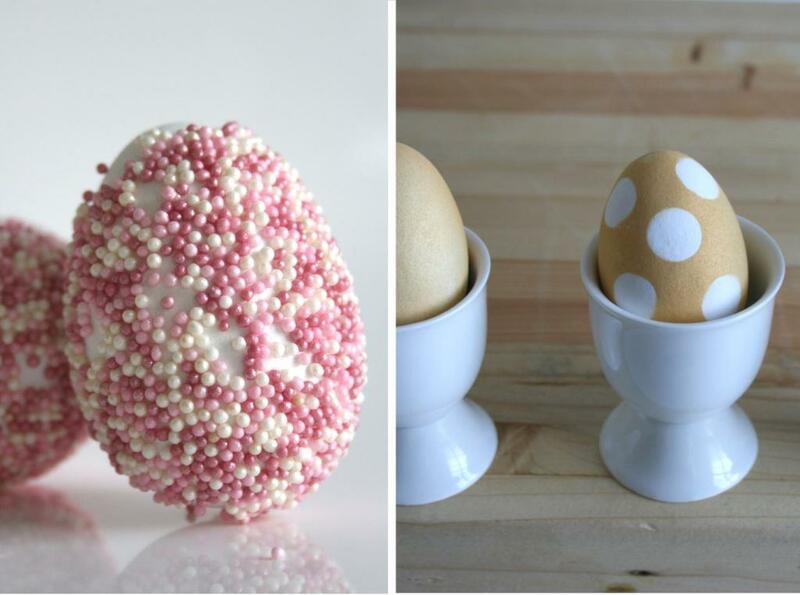 This year we came up with creative edible ways to decorate our favourite eggs (White candy-coated chocolate eggs). 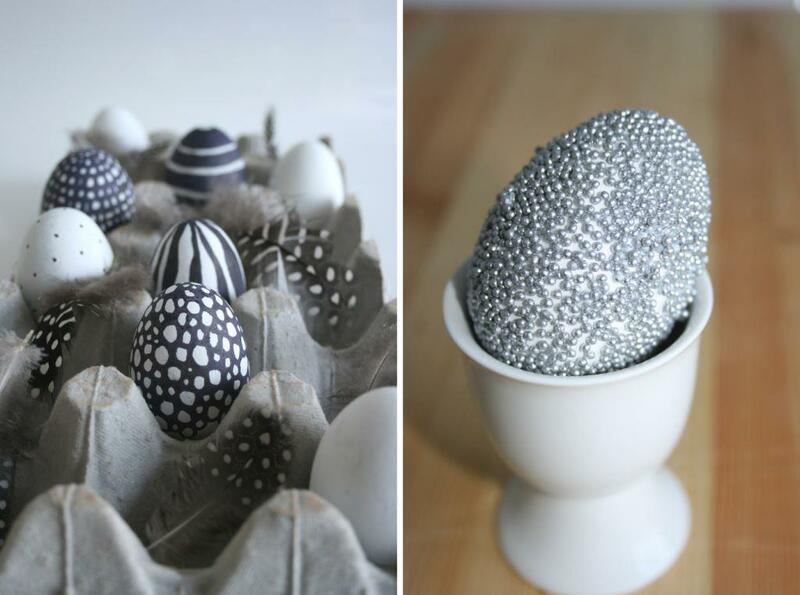 Eggs were drawn on using Stationery for Cakes – food colouring markers – to create an elegant designs in black. 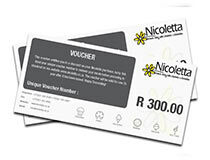 We used a teaspoon of edible glue powder mixed with 100ml boiling water to create an edible glue; and spread edible glue on the eggs before rolling them in Nicoletta Silver & Angel Drops. We also sprayed a few eggs with Graffiti for Cakes, our new edible metallic gold food spray! We placed a number of round stickers on the egg before spraying, and then removed the stickers to reveal white polka dots on a golden egg! 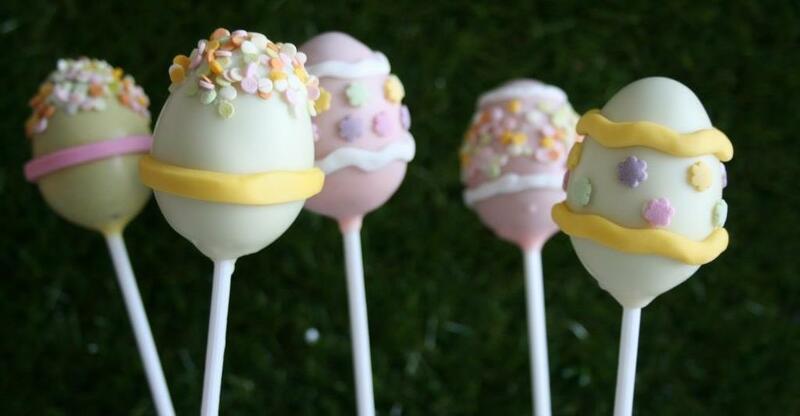 Thank you to the lovely Yolandi Heyneke from LoveLifeCupcakes who spoiled us with decorated Easter Egg Cake Pops – which made use of our Ready to Roll Fondant and Cake Confetti. 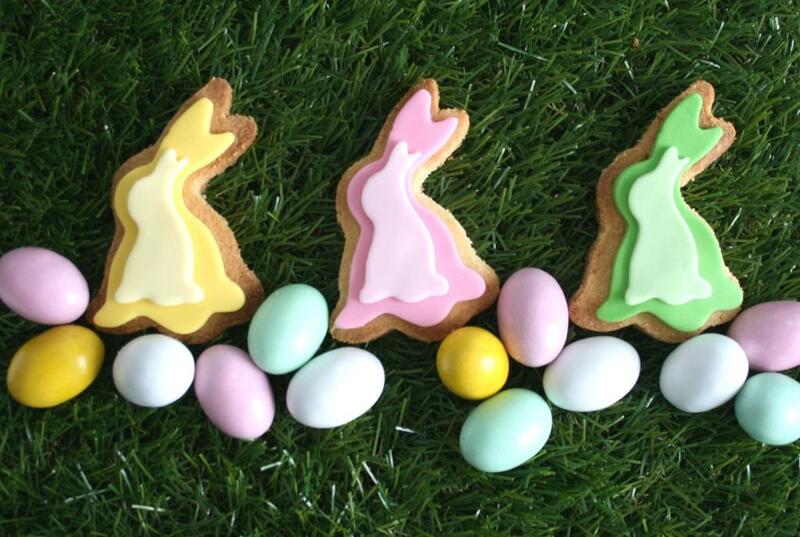 Here a snap we took before munching them all! This recipe produces a two tiered, moist and generous carrot cake with cream cheese icing! Sift the dry ingredients. In a separate bowl, beat the sugar, oil and eggs; add the carrots and pineapple and mix well. Dust the dates and nuts in a portion of the flour. Fold in the dry ingredients and then fold in the dusted dates and nuts. Bake at 180°C for 1 hour in a large baking tin / 180°C for 40 minutes if splitting the batter into two baking tins. Mix together the ingredients, be careful not to overbeat the cream cheese, as it will become too soft and runny. 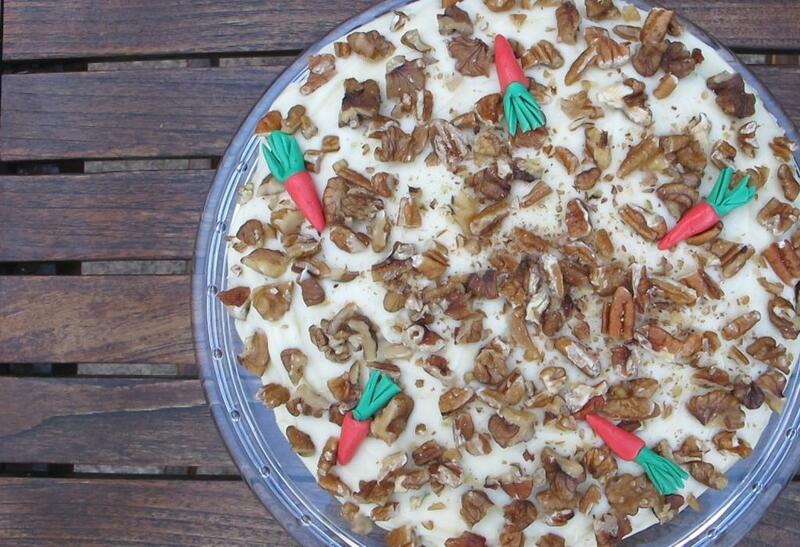 We decorated our cake with carrots moulded from Ready to Roll Fondant, and topped the icing with extra crushed pecans and walnuts.